Two popular Champions from Riot Games’ massively popular MOBA League of Legends have been reworked both aesthetically and in a gameplay sense. Sejuani is a powerful ice warrior, and the game’s developer didn’t feel it captured that fact through the character’s flimsy armor. She’s now equipped with heavier, more imposing garbs, and her fierce steed, Bristle, is also a bit more intimidating. The second Champion to see a significant alteration is Trundle, who’s now considered king of the trolls. Some gameplay changes will be assessed, but the main news here is his expanded lore and visual overhaul. 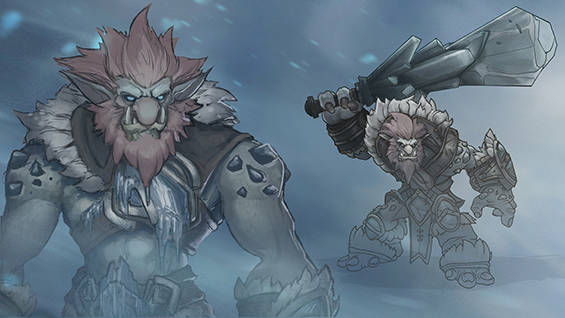 While he was once a garbage-riddled character that could nearly be smelled through the screen, Trundle now leads his people as an ice troll. This gives him a new stride, a greater presence on the fields of battle and a better chance with all those lady trolls out there. Also, anyone who owned this Champion before the update will get a free skin of his old look. We’ll keep you posted on all future Champion alterations in the future, so stay tuned. Do you use either of these Champions in battle? If so, are you excited about the changes? Let us know what you think by leaving a comment below!